It's surprising for many to hear, but a lot of atheists love the holiday season. We simply celebrate without the nativity scenes and Christmas pageants. 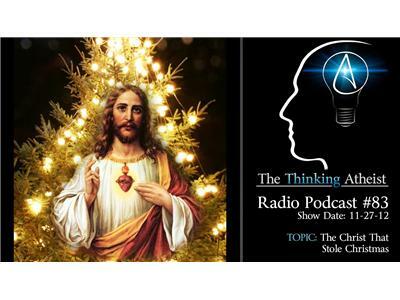 In fact, the freethought community probably knows more about the supposed birthday of Jesus Christ than Christians do, and believers would be shocked at how many of their beloved traditions have been "stolen" from earlier cultures. In this lighthearted show, we talk about the holidays and explore the (non-Christian) origins of so many beloved Christmas traditions.